I must say, you are one amazing lady! I'm glad I've gotten to know you. AWESOME anniversary post. I love all the photos and the story. The little section about ME (hehe) made me a little teary. MISS YOU! Out of everything, I give a high five for making friends and inspiring others through the blog! I certainly haven't been here for the entire journey, but you seem to have made you dent in a lot of people. Congratulations and here's to another fun-filled year!! High Five For Tall Mom!! 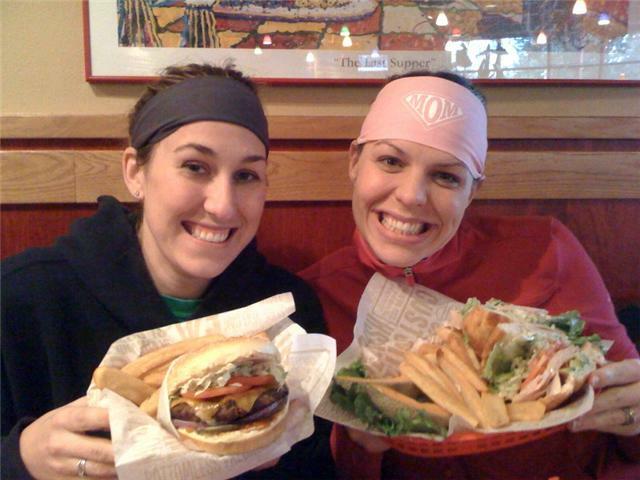 I love LOVE that pic of you and Jill after Seattle RnR last year! I don't think I had seen it before. COngrats on 2 years, and thank you for being another Tall Mom on the Run! 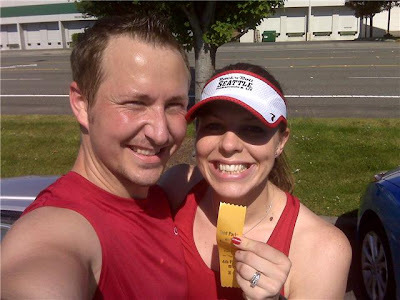 I have been pulled through many of my "downs" by this blog, because where I live there are no other runners, and so I get my "inspiration" virtually. THANK YOU. I know it takes so much of your time. Thanks so much for this post. I am nowhere near your running ability.. but this post reminds me why I run (and why I blog). This post gets a HIGH FIVE! I love to read your blog. It makes me laugh, provides me with motivation, inspires me to push myself and gives me good ideas on what running clothes to buy! I am glad I found your blog. I love all the pictures you take. 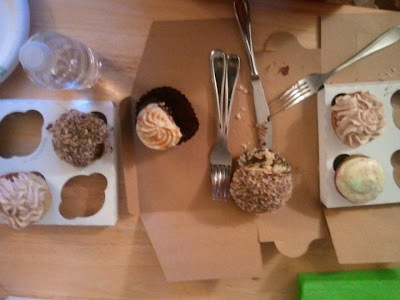 Aww, great bloggy birthday post. You truly are inspiring. Thanks for being you. This post got me all sorts of schmoopy! Running brought us all together here in blogland and I'm so happy that it did! Happy Blogiversary!!!! See you in Beantown!!! Happy 2 year anniversary!! Love the post... it made me cry! Thanks! 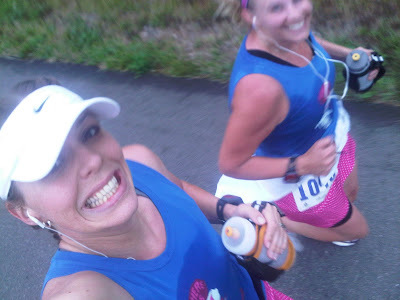 I'm a blogging newbie and a relative running newbie as well-- I can only hope to be able to dedicate myself to each of those adventures the way you have. Congratulations on your Blogiversary and thanks for the inspiration! Mel, you are a beautiful person and I so enjoy reading about your adventures (and misadventures). I hope to meet you someday, but til then I'll keep reading. You are just that awesome! Love this post. And I really love that picture of us. You go girl should use it for promo ads. It looks like we are having a blast! And the cupcakes ... yum! Happy Blogiversary! 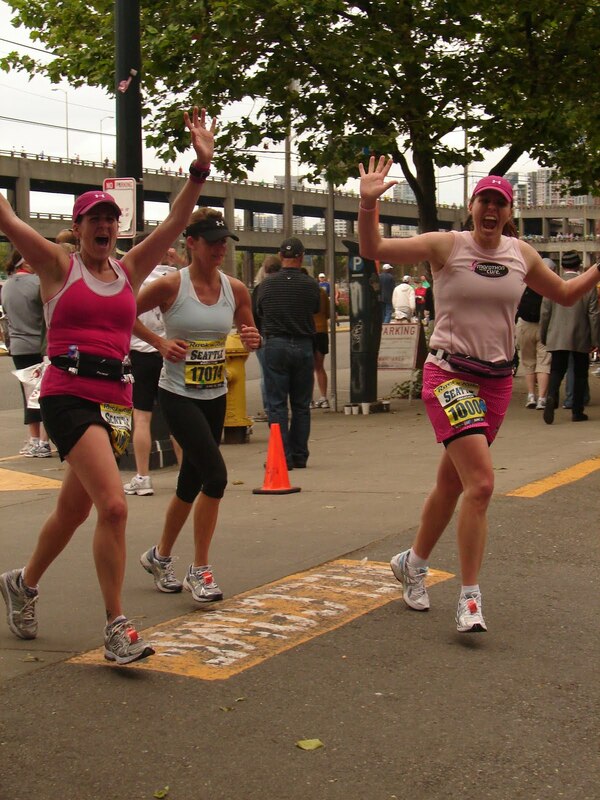 Can't wait until I do some west coast running and can meet up with you! I'm new to blogging and just found yours. So glad I did! Congrats on all your wonderful accomplishments, especially the popularity of your blog! Happy Blogiversary! And wonderful post... had tears in my eyes. It's so nice to find other women to whom running is so important as we attempt to weave it through out lives! I thoroughly enjoy reading your blog. Never stop writing. Never stop running. Congratulations on two years, Tall Mom! What a great story! You most definitely are inspiring me! I would never have thought that I could take on a challenge of running 1000 miles in one year, but I am on my journey and looking forward to the challenge (also thanks to Marlene for her inspiration as it was her blog that lead me to you and this challenge). Look forward to reading your blog for many more years to come. Wonderful anniversary post. It's great to see all the photos and remember "sharing" those moments with you. Thanks for showing me how a family really works together! I just got all teary. 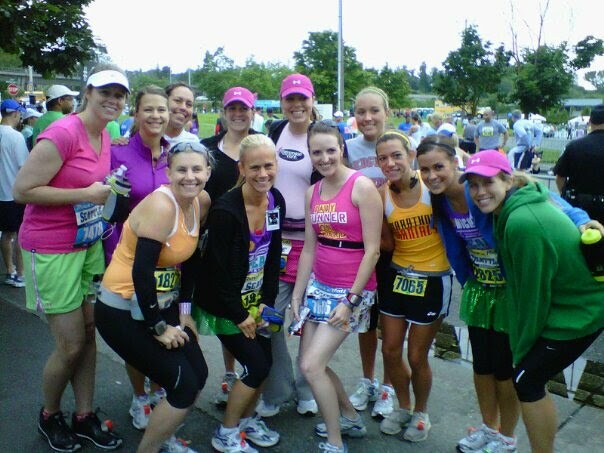 I, too, feel so blessed to have you and all of our running buddies as friends. Happy TWO! Loving this post today. I love the pictures and love the memories you shared. You are definitely an inspiration Mel! Keep writing. Happy 2nd birthday! I love reading your blog and can't wait for many more years of reading! Happy Blogiversary!!! Hope you are doing better each day, Mel. Hugs to you! happy blogiversary!!! ive been reading for a long time now and have enjoyed every minute of it. you RAWK!!! Happy Blogiversary! This is my favorite blog, thanks for all the inspiration! Superbly written Mel! What a journey--so thankful for running, the journey and community! I have to say I love Tall Mom AND the woman behind it! Happy blogging birthday! And, the part about your kids made me teary & inspired me to make sure we're doing the same for our family. Love this post and absolutely love your blog. It is one if my daily reads. 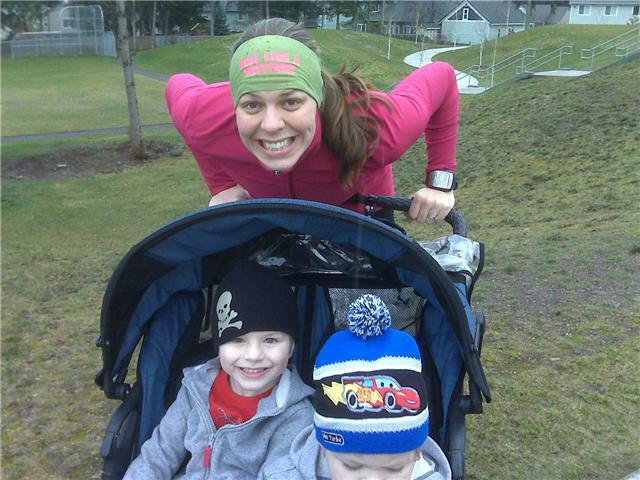 I learn so much and am always inspired in many ways by your blog and by you as a woman, a mother and a runner. Loving all the pictures. Happy 2nd Birthday to Tall Mom! Congrats on your 2 yr anniversary! I've been along for the ride for the past year and have enjoyed it! You've only been doing this for 2 years? Wow, you've created such a great thing here! I think that's pretty evident by the almost 1000 people who read this! Congrats on two great years and all the best for the many more to come! Happy 2 years! Thanks for all the great posts and inspiration to other running mamas. You rock! When I was training for Richmond '09, and I found your RNR post, I found it both horrifyingly honest and inspiring all at the same time. I love that I can say that and know you know what I mean. I feel lucky to count you as a "bloggy friend", and cannot wait for the day when we connect at a race. Congratulations on your bloggiversary dear friend, and by the way, "it might be a soft J". Big Super Fantastic Congrats! I'm one of those silent types...reading every day but not posting often because I never think I have the witty things to say. I have been with you from early on. 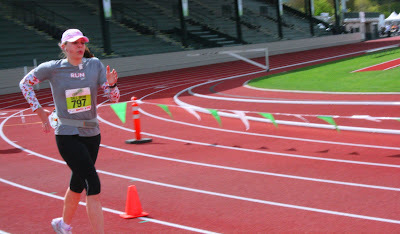 Yours was the first running blog I followed and it got me so excited to continue my passion for running past the first 5K I signed on for just to do it with friends. 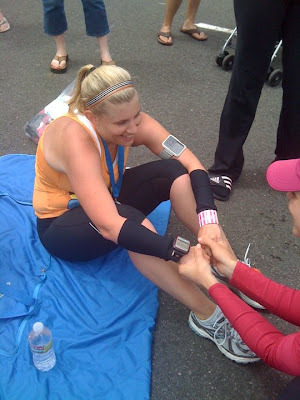 Now I am doing it for me and planning my first marathon. Thanks for helping me via blogtown. I loved every picture and commentary of this post. These are the posts that allows us to relate to each other more. I remember some of these photos. It has been great reading and I will continue to do so! Congrats! It has been enjoyable to be part of your blog! I rarely leave comments, but have been reading your blog for a few months now. It's fantastic ... keep doing what you're doing because I find inspiration from it. Love your picture memories from the past couple years; happy blog anniversary! Love this post aand all the pictures!!! Running has been wonderful to you!! :) Happy 2 year blogiversary!! Happy Birthday. Great post. All the best in year 3. 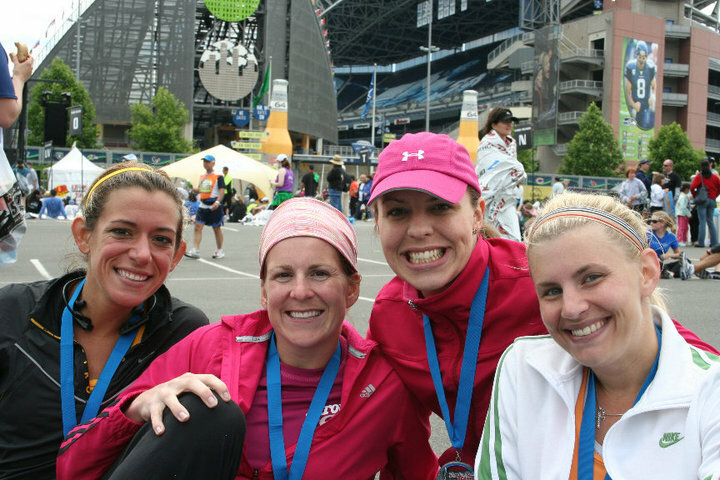 You've made quite the positive impact on the running community in two short years! Congratulations on your two year bloganniversary! You are a great inspiration!!! Congrats on your 2 year! I think I have become addicted to blogging too! It is such a great community! Congrats on your 2 years!! Loved the recap. Great pics! High five to YOU!!! Congrats on your 2 years! Thank you for continuing to blog. You've been an inspiration to me. Just knowing that a Tall mom can have the speed you do gives me the confidence that I can too. Happy 2 years! I love this post! Perfect perspective to have on running and life!!! !